A custom orthotic is a device designed to align the foot and ankle into the most anatomically efficient position. They look like insoles, but are biomechanical medical appliances that are custom made to correct your specific foot imbalance. Custom orthotics work on your feet much like glasses work on your eyes - they reduce stress and strain on your body by bringing your feet back into proper alignment. The plastic body of the custom orthotic helps to re-align the foot by redirecting and reducing certain motion that takes place during the gait cycle. Custom orthotics fit into your shoes as comfortably as an insole - and they have the advantage of having been made from precise imprints of your feet. If you have : Localized foot pain / Bunions, hammer toes / Arch/heel pain / Leg/knee pain / Hip or back pain - even neck pain / Planter Fasciities / Achillies Tendonitis / Bunions / Hammer Toes / Shin Splints / Corns / Morton's Neuroma / Pirformis Syndrome / Diabetic patients: Custom Prescription Orthotics can help you. How does your Chiropractor assess if you need foot orthotics? During your initial evaluation or during a re-evaluation, Dr. Haman will do a foot exam and will visually inspect if you have overly high arches or dropped arches (flat feet). Flat feet are the most common foot problem found. Dr. Haman will also watch how you walk (gait analysis) and will also do a digital scan to assess how you are weight-bearing on the bottom of your feet, as well as a 3D scan which is like a modern version of a cast. A high quality supportive shoe is indeed an important element for your feet. However, a shoe insole is not custom-made for your foot. By inserting a custom-made foot orthotic into a good quality shoe, you are ensuring that you give your feet optimal alignment, balance and stability. Most shoes people wear have an existing insole that easily slips out and the orthotic can slip into the shoe to replace the original insole. Generally not. The foot orthotics from Footmaxx are not a thick. They are slightly thicker than your existing insole, but have good cushion and enough rigidity to correct foot imbalances. Footmaxx orthotics are most effective when used in shoes with good construction, fit, and condition. Your orthotics are also a guide in assuring new shoes fit well. If a shoe can't accommodate a stabilizer which has been custom made for your foot, then that shoe is not the proper size for you. If your shoes are a similar style you just move you foot orthotic from one shoe to the next. There are different orthotics for different types of shoes. For example, men's and women's lace up shoes that have a wide forefoot usually need a full-length orthotic whereas a slip on shoe may require an orthotic that is shorter in length. Footmaxx makes a variety of foot orthotics for a variety of shoes. To start, we usually recommend buying one pair of foot orthotics for the type of shoe you wear most often. If you like the orthotic you can choose to invest in different types of orthotics to fit in your other types of shoes. I wear high heel dress shoes all day at work. Can you buy foot orthotics for women's dress shoes? Yes. Although high heel shoes are not ideal for your feet or back, the reality is that you're not going to give them up to sacrifice your style. 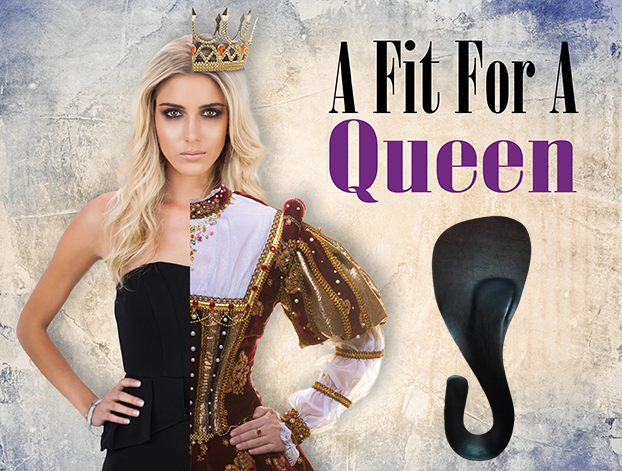 Footmaxx has designed a thin orthotic specifically for women's high heel dress shoes. This helps support you feet better and can help alleviate the burning pain you may experience in the ball of your foot. I wear sandals in the summer. Can I wear my orthotics in my sandals? No. Footmaxx does make very comfortable sandals and flip flops. The custom-made orthotic is directly built into the Sandal design of your choice. They have a good selection of style including flip flops and we have had excellent feedback from our patients telling us that they are very comfortable. There is also a wide variety of types of orthotics - we have samples of each type and we can discuss the top-cover and type that is best for your condition and your lifestyle. The Clinic will place your orthotic order after your exam. 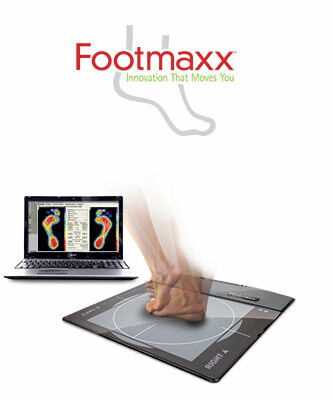 Footmaxx design our foot orthotics through an impression and computer imaging process depending on the preference of your Chiropractor and your health insurance companies needs. The doctor will get an exact impression of your feet, using a foam casting kit or digital foot scanners. He will then determine which foot orthotics are right for you, based on the results of the scan or cast. A variety of styles are available for all activity levels and shoe styles. 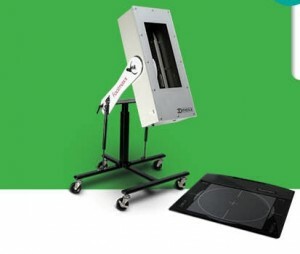 The casting kit or digital scan is sent to the Footmaxx laboratory. Skilled technicians build your custom-made foot orthotics using 16 precise measurements based on their analysis of your feet. Your lifestyle, age, weight and activity level are all considered when we create your custom-made foot orthotics. The foot orthotics are sent back to our Clinic. Instructions will be given on how to wear and care for them. You will receive the orthotics approximately 2-3 weeks after order is sent electronically. Most Insurance companies require a Medical Doctors prescription. The price ranges from $425 - $460 depending on the type of foot orthotic you order. Most health insurance plans cover some or all of the cost of custom-made foot orthotics. Check your plan. Payment is required prior to sending your order to Footmaxx as they charge us as soon they get the order. If you have insurance make sure you know what they require so you can get reimbursed. They will require a receipt from us and usually, a prescription from your medical doctor. Dr. Haman will fill out a recommendation and we will give you a paper explaining the fabrication and a copy of the gait analysis and detailed lab report to forward to your Insurance company. Approximately 2 years and then they should be replaced. What should I do if my feet get sore when I wear my new orthotics? Some people experience a mild discomfort during initial break-in. Break-in time can take up to two to three weeks in some cases, but usually less time for most people. If your feet are uncomfortable, remove the orthotics for about half an hour, then re-insert. The golf ball exercise is a simple way to speed the adaptation process. Sit with a golf ball under your bare foot. Roll the ball with as much pressure as is comfortable from the front of your foot to the back, and along the arches and outer edges. Do this for up to five minutes per foot, twice a day, to speed adaptation. If discomfort persists beyond two to three weeks, let us know and we will rectify the problem.